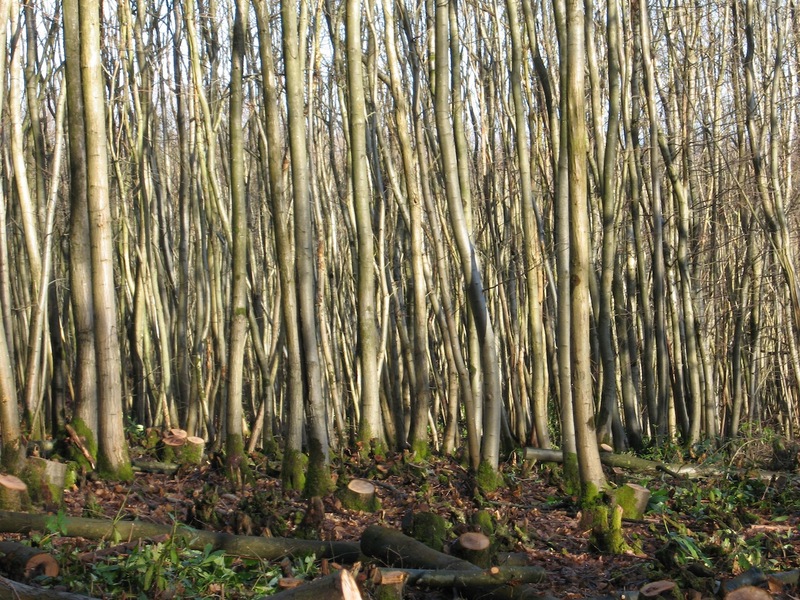 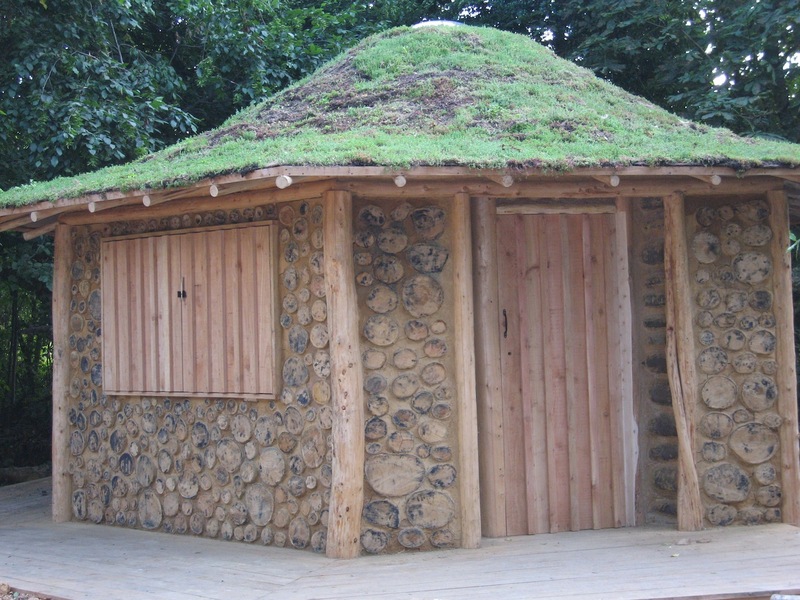 Built for the Aldingbourne Trust, this hexagonal roundwood framed bothy is made from Lawson cypress and sweet chestnut. 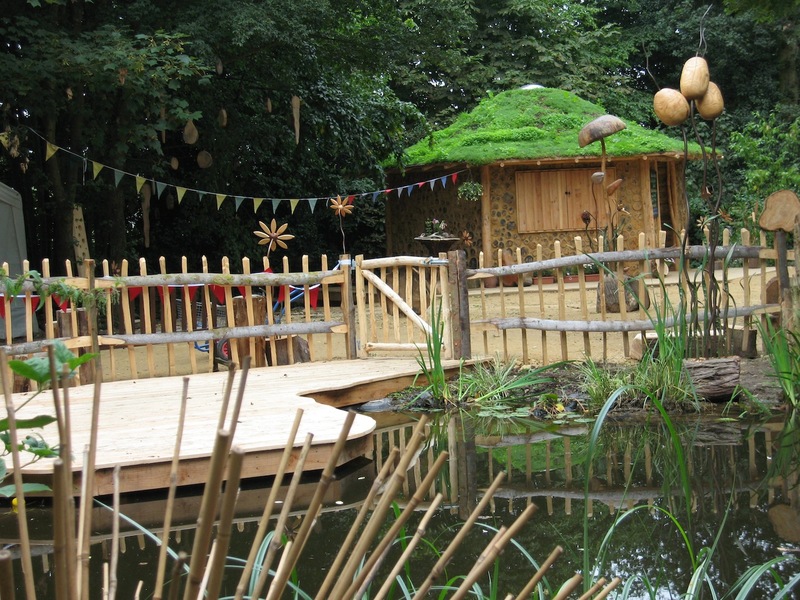 The roof is a reciprocal Hogan design which can span small or large distances without the need for a central support. 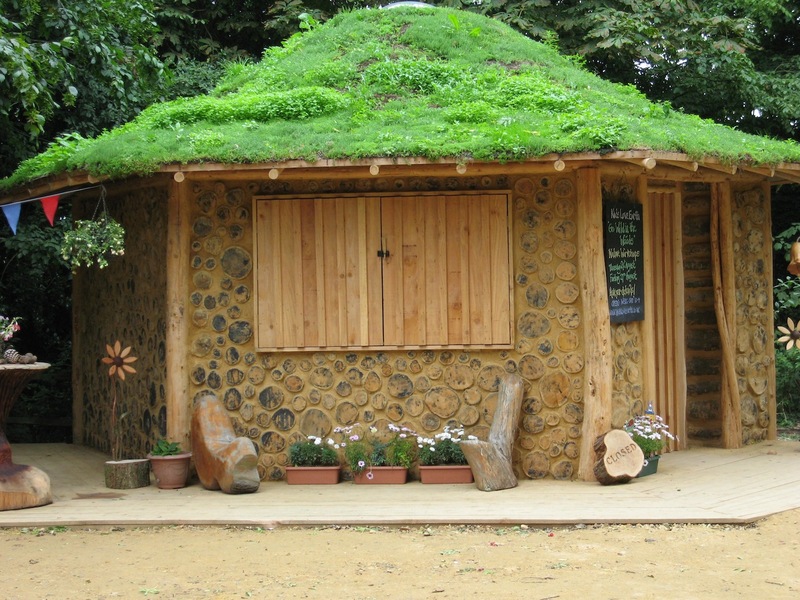 The walls are cordwood, packed with clay and the roof is planted with sedum. 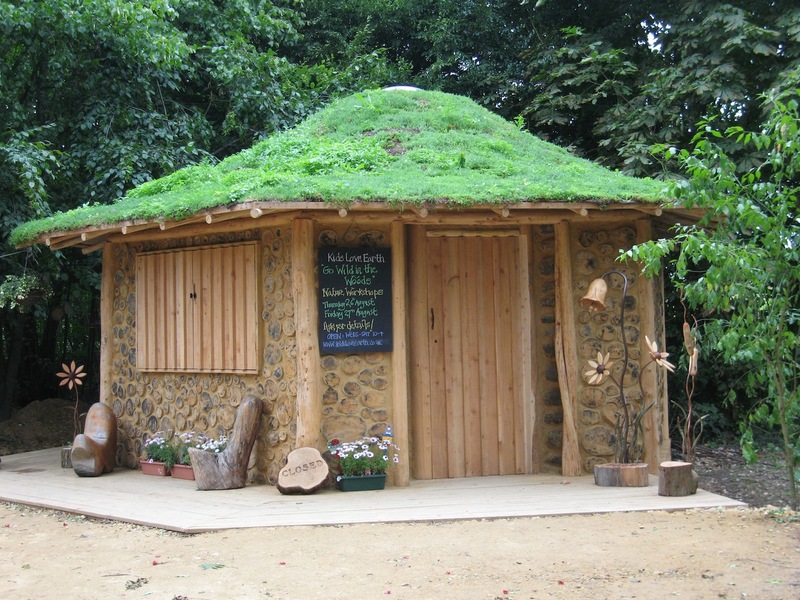 The bothy has been used as a shop, children’s workshops and as santas grotto.